The past decade has seen e-commerce occupy a greater role in our everyday lives. A new month is just around the corner and that means a new display is up at Education library! 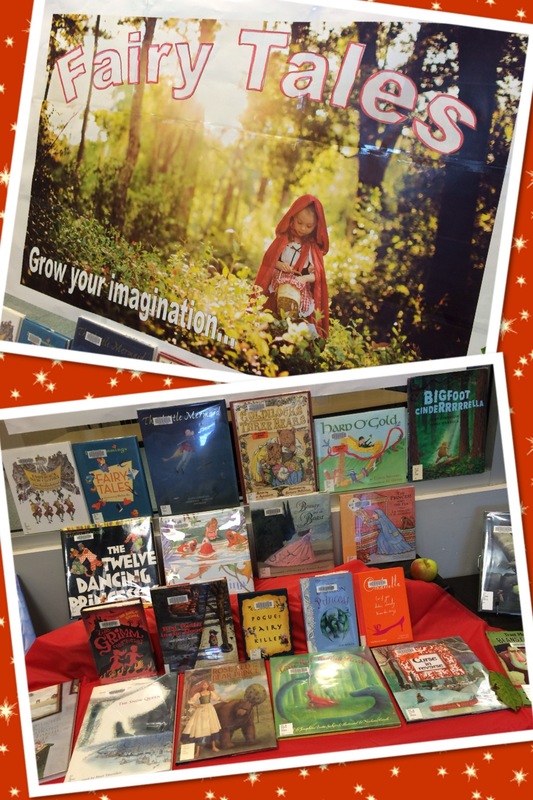 “Fairy Tales: Grow Your Imagination” showcases just a few of the many fairy tales and fairy tale themed books we have here at this branch. You may have seen some pages from the Logroño Antiphonary, a 16th century Spanish chant manuscript, showing up on our Flickr account. (If you haven’t, you should go look! It’s a pretty neat example of an illuminated manuscript and features lots of musical notation.) To go along with that manuscript we’ve started scanning some other selections of UBC Rare Book sand Special Collections‘ holdings of material from the thirteenth to sixteenth centuries! 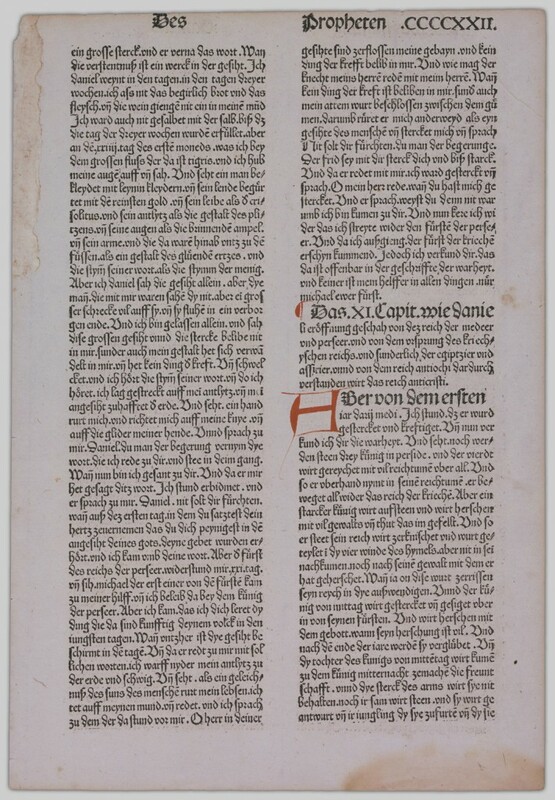 First here’s a page from the Old Testament of the Biblia Germanica, the ninth German Bible published in 1483. 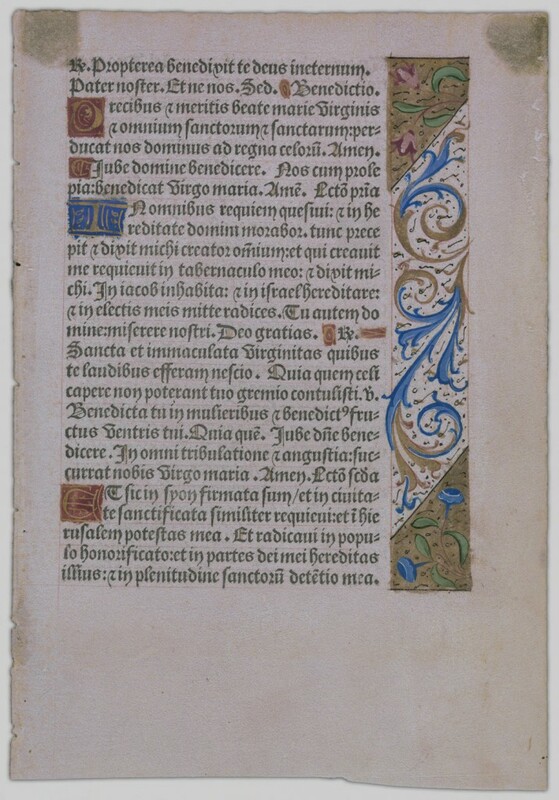 Here’s a page from the Books of Hours, Catholic prayers and devotions written in France in the 15th to 16th centuries. 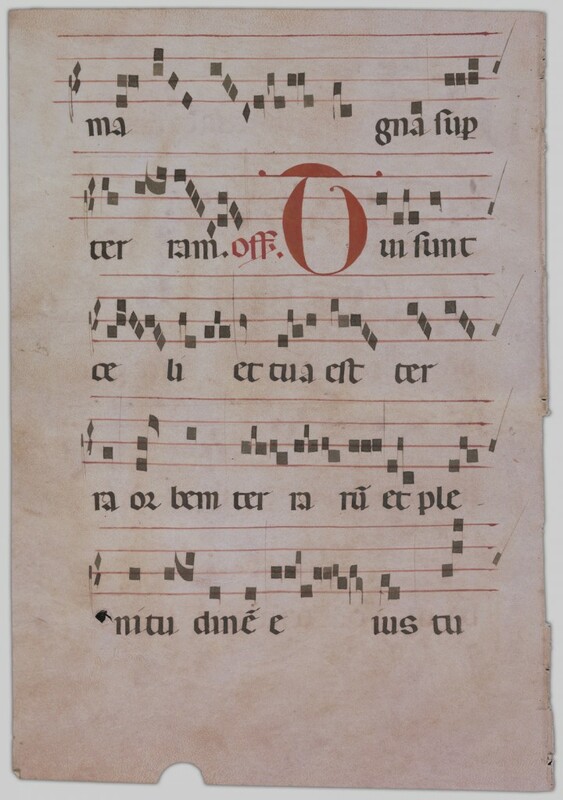 Similar to the Logroño Antiphonary is the next item, a 15th century Italian Gradual (hymn) showing music notation. 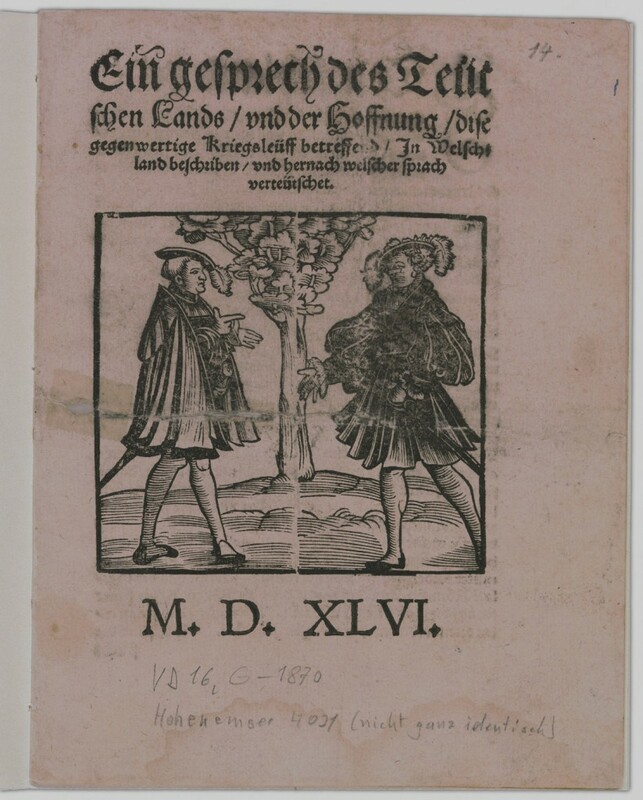 Next is Ein gesprech des Teütschen Lands, vnd der hoffnung, dise gegenwertige Kriegsleü̈ff betreffend : jn Welschland beschriben vnd hernach welscher sprach verteütschet, which is written in some archaic form of German that the internet is unable to auto-translate for me. It’s apparently a discussion about the political and spiritual aspects of the 1546 crisis, and perhaps you know what that crisis is (I don’t!). 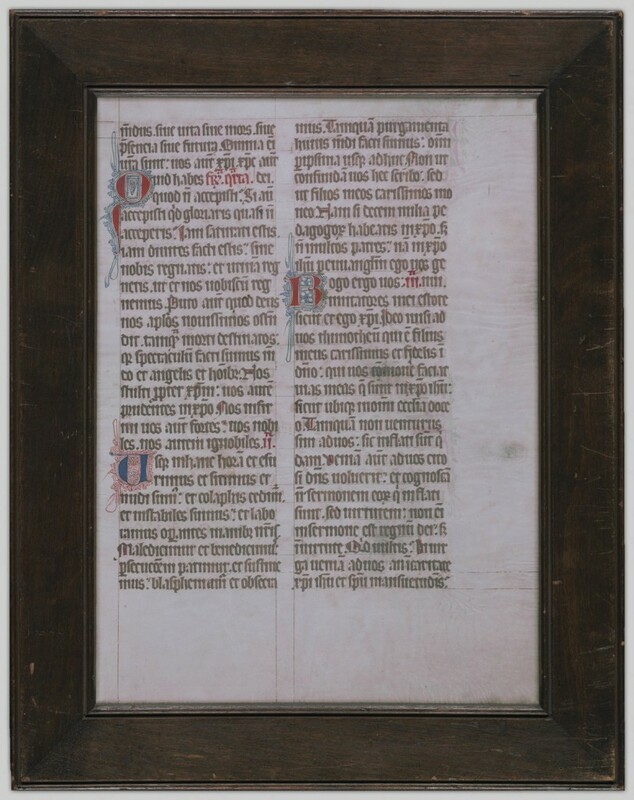 Finally, we have a page from a 14th century Latin Vulgate Bible, this one was framed, so it took a bit more work to scan! RBSC has several dozen items in this collection, so we’re going to continue to upload more items in the future. We hope you take a look! Sponsored by the Irving K. Barber Learning Centre, on Tuesday June 10th the inaugural Wesbrook Talks event at MBA House in Wesbrook Village took place. A partnership event between Wesbrook Village and alumni UBC, the first event of the three part series featured a panel discussion of three amazing award-winning alumni all named Barbara. The sold out event featured Business in Vancouver’s Influential Women in Business award-winners Barbara Brink, BA’63; Barbara Dunfield, BEd’80; and Barbara Kaminsky, BA’70, MSW’73, MSc’82, in a panel discussion with CBC’s Renee Filippone and host Shelina Esmail, BA’93. It was the first time the 3 award recipients have spoken together on a panel. The three Barbara’s talked about their influences, commitment to their community, and career paths in a moderated discussion and question and answer session. Gwynneth Mary Lovas, Canadian Military Law: Morale and Welfare Operations (Toronto: Carswell, 2013). Koerner Library has a new Food Policy. Please check the sign on the main level for more information.